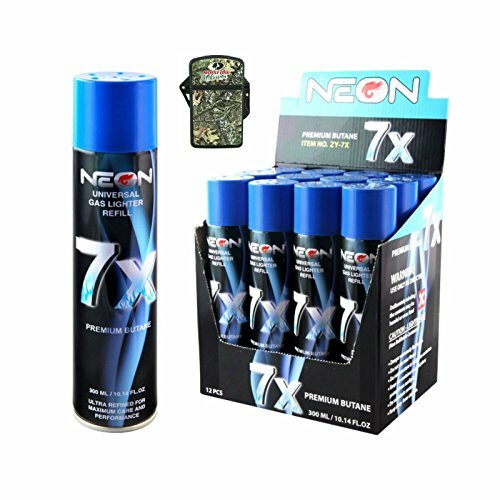 All of Neon butane products are made to provide you with a clean burning experience without altering the original flavors of your cigars. Neon brand butane imposes finely tuned specifications to their purification process and refinement. Designed with a special formula to reduce contaminants in order to maintain your lighters premium performance, preventing potential damages and clogging for a clean burning cigar..
FREE CAMO WATERPROOF TORCH LIGHTER! !